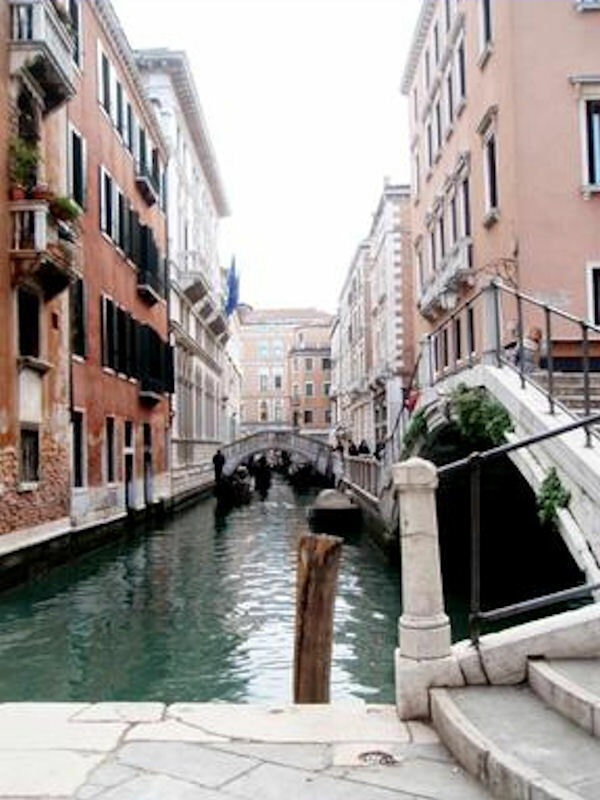 Our walking tour starts on the The Grand Canal which is crossed by four bridges. The oldest is the famous Rialto Bridge. It was originally built of wood and was then renewed in 1591 by the actual bridge built of stone and designed by Antonio da Ponte. Next The Accademia Bridge can be found outside the Accademia Gallery and was built in 1932 of wood with later plans for a stone bridge which never came to light. The Scalzi Bridge is the most recently built and its name comes from the Carmelite Sanctuary which can be found at its feet. It was planned by Eugenio Miozzi in 1934, and replaced the old wrought iron bridge from the 1800s. The fourth bridge is the showpiece of contemporary architecture for the city. It is designed by Spanish architect, Santiago Calatrava and connects the railway station at Santa Lucia with the mainland at Piazzale Roma. The HIGHLIGHT OF THIS TOUR!!! You will be taken on a 35 minute canal ride on a speed boat down the canal in routes that 007 himself has taken during many films! We will finish the walking part of the tour by visiting the Ponte Tron or Ponte de la Piavola, near Piazza San Marco (Venezia) which was built in the end of 1840. The bridge crosses Rio Orseolo near Bacino Orseolo and it is one of more than 400 bridges that connect the archipelago of 118 islands divided by about 150 canals. In the center of its arch is represented the lion's head of Saint Mark. This bridge was called "Ponte de la Piavola", the "doll's bridge" in Venetian, for its diminutive size.